Young girls are usually very active and need to be kept occupied. They are also learning new things every day, and as a parent, you need to make this possible for her. You can do this by getting her toys which will help in her development both mentally and physically. These toys may range from just playful to more advanced and educational ones. We have prepared a list of some of the best toys and gift ideas for 10-year old girls, so you do not have to struggle when choosing one. 12. Creativity for Kids Day at The Spa Deluxe Gift Set. 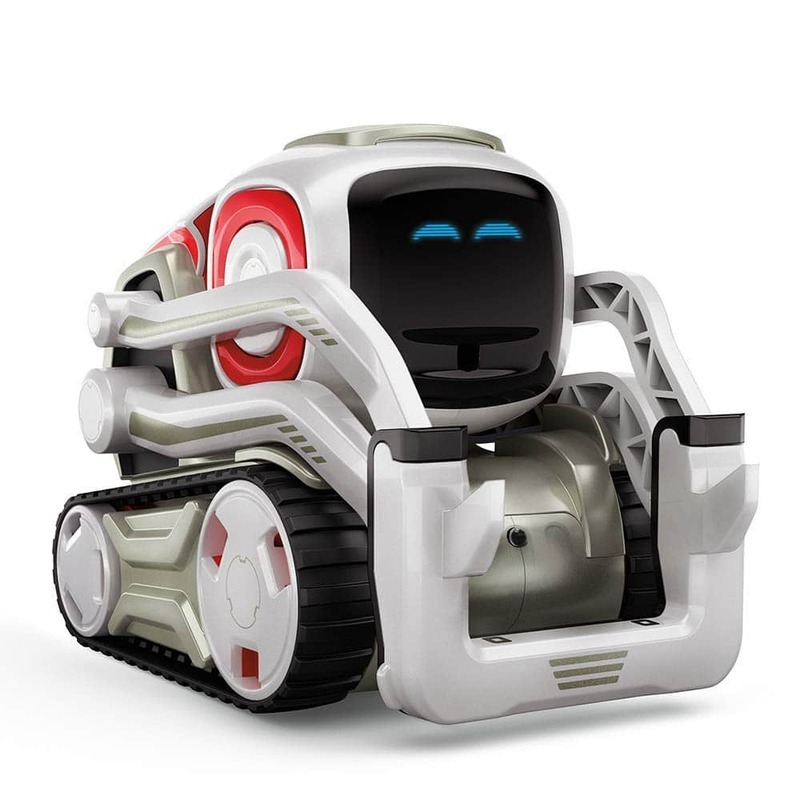 Why we like it: Cozmo has many great features and evolves the more he is interacted with. He is also easy to control. This is a very shrewd robot that can show various emotions, catches your daughter’s name when she introduces herself and scans her face to recognize her in their next encounters. He has a lovable character and would make an excellent companion for your daughter. He comes with 3 power cubes which control some of his actions, a charger, and instructions on how to operate him. Your daughter can control him using an app compatible with Android and Apple tablets and phones. The robot grows with your daughter, and he will keep evolving the more she uses him. He is easy to control and is great for teaching your kid how to code and encourages her to use her creativity and imagination. Why we like it: It is sturdy and easy to use, so an adult doesn’t always have to be around when it is in use. This microscope lets your daughter conduct biological experiments just like a real scientist. It lights up to improve your daughter’s experience and has an activity journal which has step by step instructions she can follow to collect, dissect and study specimens. It has all the tools needed to conduct successful experiments, and the microscope is easy to use without adult supervision. The eyepiece has a rubber cup to protect it and also protect your daughter’s eyes. It is very sturdy and can withstand several drops and hits it is brightly colored so your daughter will love using it. It helps develop her interest in biology and adds to her knowledge thus improving her performances. It also lets her use her creativity and promotes fine motor skills. Why we like it: The set provides unlimited possibilities for designs. It is also suitable for adults. 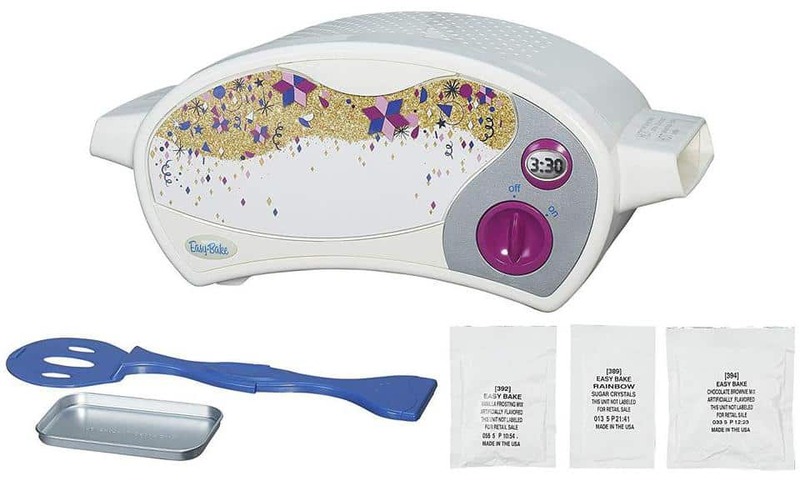 Your daughter can finally create beautiful and intricate designs with this product. It provides unlimited possibilities for designs and is a perfect gift for any art lover. It includes several pieces, and your daughter can experiment with new designs to come up with unique works of art. The Spirograph is easy to use, and it comes with includes an organizer tray to keep the pieces in order and prevent them from getting lost. 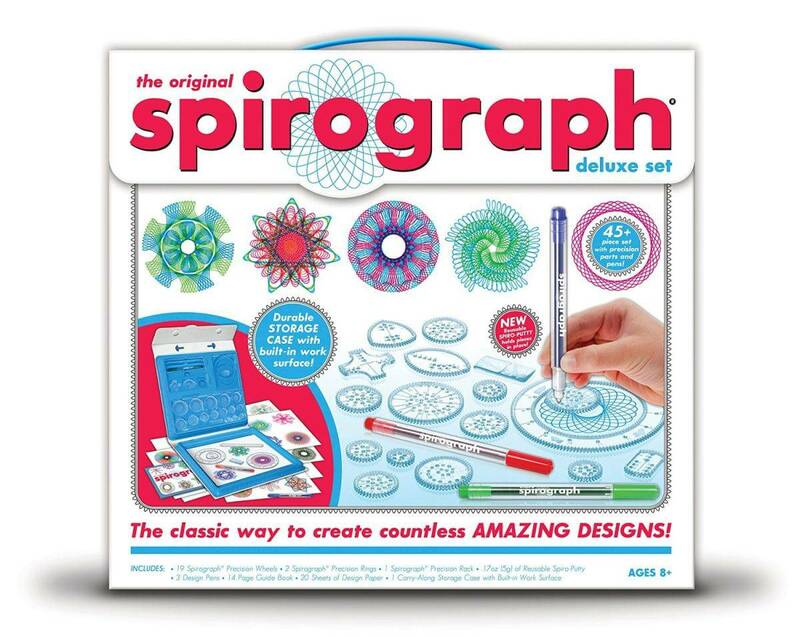 The 3 pens have different colors to create eye-catching images, and it is compatible with other Spirograph sets allowing your daughter to play with her friends or even family. It develops your daughter’s interest in art and encourages her to be creative and imaginative, and also promotes fine motor skills. Why we like it: The oven has a beautiful design, and it allows real baking to take place. Teach your daughter how to bake with this Easy-Bake Ultimate Oven Baking Star Edition. The oven comes with a baking pan, bags of mixes for making brownies, cookies, and cakes, a spatula, and clear instructions to let your daughter bake real snacks. The oven is electric and has beautiful decorations and a modern and unique design which your daughter will love. It is good quality and durable and is easy to use, and your daughter can prepare delicious snacks with her friends and even for her family. The oven is light making it easy for your daughter to move and it heats up quickly so she can get to business immediately. She can learn basic baking skills which she might develop into a hobby thus allowing her to become a pro. Why we like it: The set is realistic and has all the tools your daughter will need, plus there are no complicated sewing patterns. This kit brings out the fashion designer in your daughter. It contains all the tools and fabrics needed by a fashion designer to produce a masterpiece. It also comes with a sketchbook and pens for sketching designs and a small mannequin. The set is realistic and is great for aspiring fashion designers. The instructions are easy to follow, and there are no complicated sewing patterns to ensure your daughter has a smooth experience with the kit. It involves using a needle, and you will need to supervise and help your daughter with it until she knows how to use it without hurting herself. Your daughter will use her creativity to come up with beautiful designs, and it helps promote fine motor skills and hand-eye coordination. Your daughter might hurt herself with the needle if unsupervised. Why we like it: The toys are easy to use, and they have the images of your daughter’s favorite Disney characters. Your daughter will go on wonderful adventures with her friends or siblings accompanied by their favorite Disney characters. 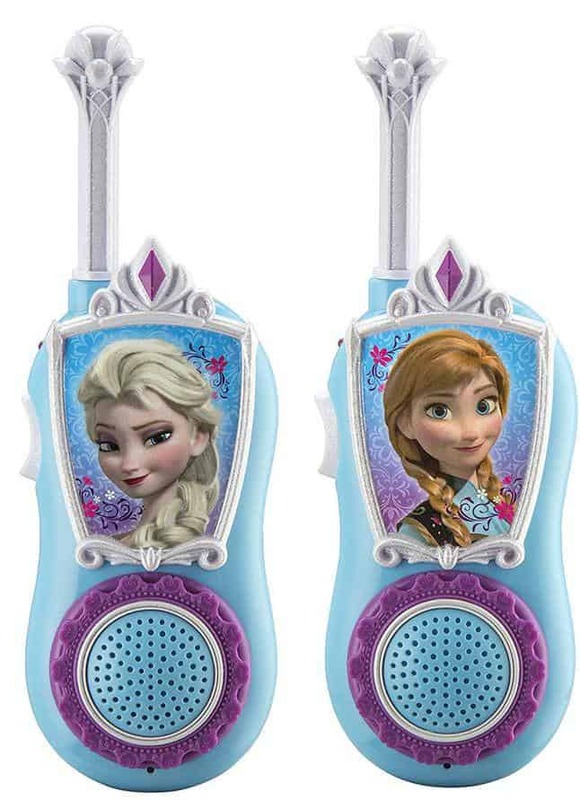 The walkie talkies have vibrant colors and beautiful decorations, and they work like normal walkie-talkies. The volume can be adjusted to your daughter’s preference, and it is easy to use so your daughter will play with it right away. She can create new adventures and save the world by fighting the snow monster with the help of her friends. The toys promote teamwork as the girls coordinate with each other. They help promote your daughter’s creativity and imagination as she comes up with new adventures to go on with her friends. They also enhance problem-solving skills and your daughter’s reasoning abilities. They can only be used by two players at a time. Why we like it: The color and decorations of the box are perfect for a young girl, and she can use it as she grows. This box has beautiful decorations and a soft color which will blend in well with your daughter’s room. 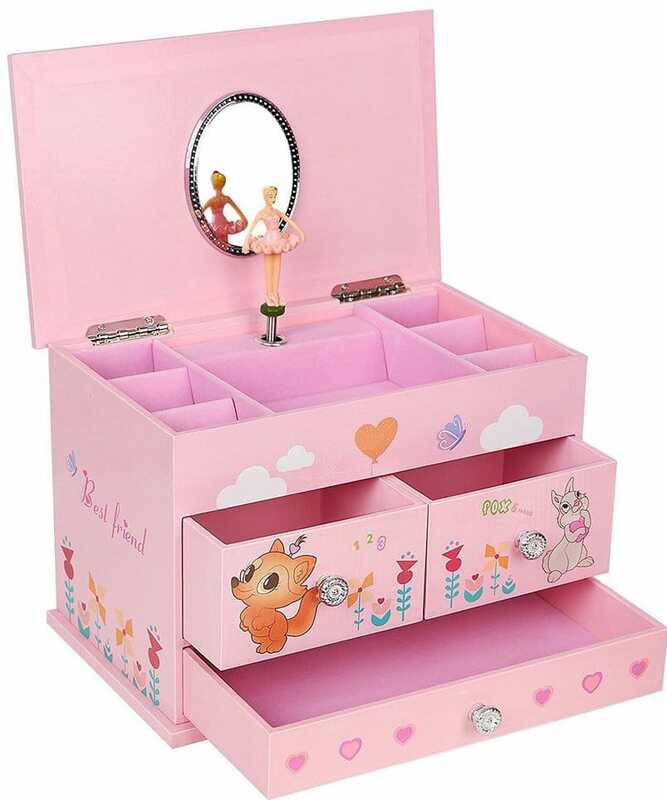 It has seven compartments at the top, and 3 drawers and a beautiful ballerina figurine dancing to the music, and the music stops when the lid is closed. It is perfect for your daughter to store her little jewelry, so she keeps her room tidy and her jewelry safe. It has an oval mirror on the inner side of the lid, and your daughter can use it to look at herself wearing her beautiful necklaces and earrings. It is a good quality decorative and functional toy perfect for your little girl. She will learn to be organized and take care of her belongings, and the ballerina might also teach her a few moves. Why we like it: It allows your daughter to interact with other creators and share her creations with them. This toy is a perfect gift for video game lovers. 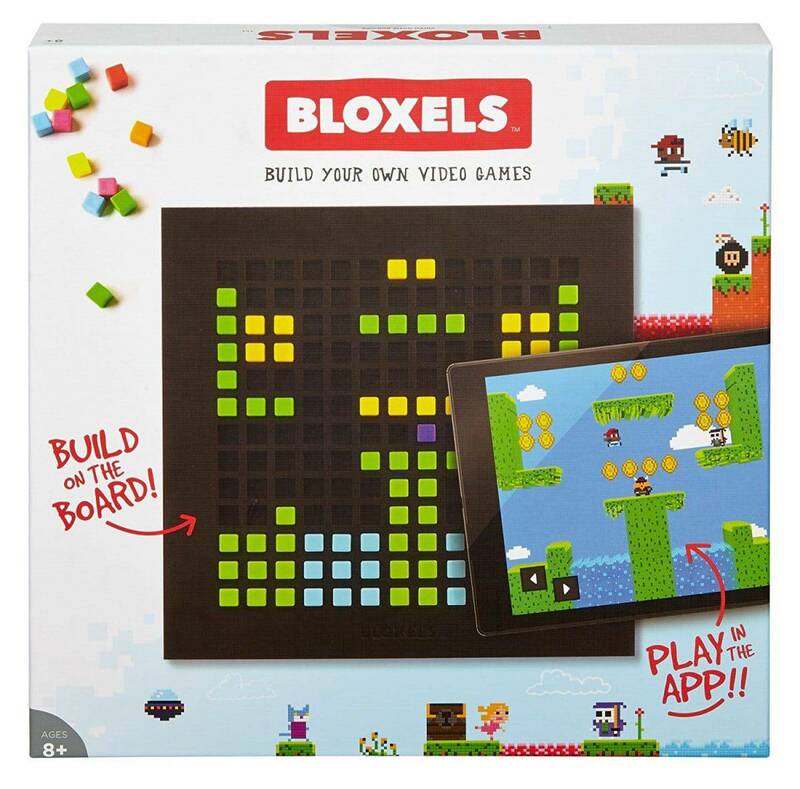 It allows your daughter to design her game world and then digitize it and play it on a tablet or phone compatible with the app by using the device’s camera. It includes a game board and more than 300 blocks in eight different colors. Your daughter can also share her creations with other designers and play with them, and your daughter learns while playing, and she will design better games than the last the more she keeps playing. Your daughter will spend a lot of her free time on this toy which will boost her self-confidence and encourage her to be creative and imaginative. She will also develop problem-solving skills and quick thinking which will help in her daily encounters. Some devices’ cameras may not work well with the app. Why we like it: The ink is completely washable and does not stain the bedding. Your daughter will finally have something nice to dream about every night with this pillowcase. It comes with a set of 10 colorful double-ended fabric markers for your daughter to create her own dinosaur world. The marker colors completely wash out in hot water so she can use different colors the next time she goes on another adventure. 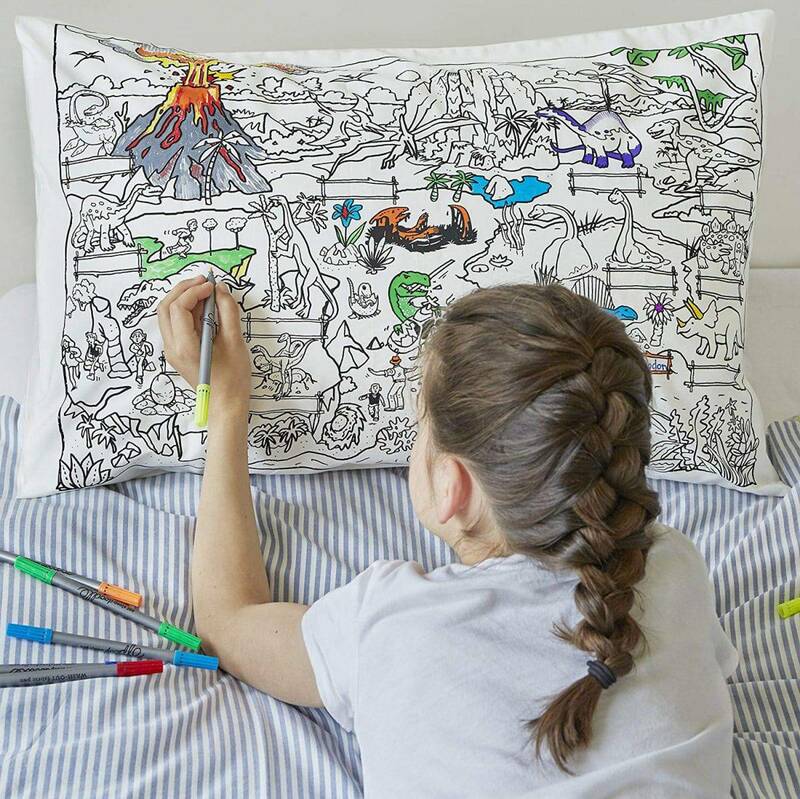 The pillowcase is greatly detailed and provides a lot of coloring options for your girl, and you do not have to worry about her waking up with a colored face. The ink used is also non-toxic and also won’t stain her bedding when she drools and the case is of good quality so it will look new even after a couple of washes. Your daughter gets to be creative and develops an interest in art. Why we like it: The game has several challenges and ideas to ensure the players do something new in most sleepovers. 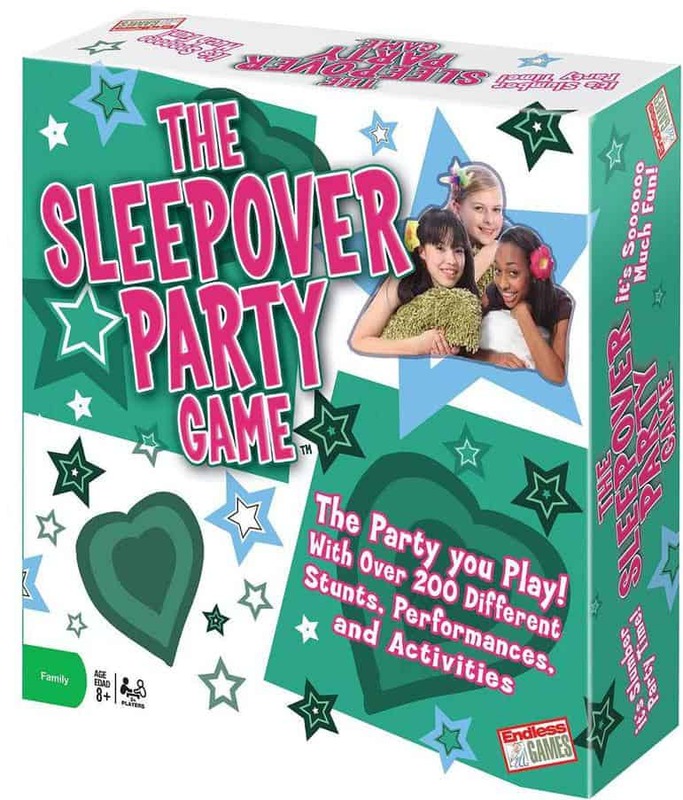 Make your daughter’s sleepover 10x more fun by getting her this Sleepover Party Game. It has various activities including singing, dancing, acting, and many more challenges which will make your daughter and her friends have an unforgettable experience and always look forward to another sleepover. It includes 200 cards with activity ideas and challenges, and each card carries a certain number of points. The game is easy to play, and the girls will get straight to it, and the challenges are many so that your daughter and her friends will have new ideas for the next sleepovers hence it won’t become boring. Other than bringing fun, the game encourages imagination and quick thinking, improves interaction skills, and promotes problem-solving skills. Why we like it: There are several images to paint so your daughter will use the book for a long time. The glossy cover also makes it perfect for your girl. This coloring book would make an ideal birthday or Christmas present. It has more than 100 different images and designs to ensure your daughter does not run out of images to paint any time soon. The book is big and beautiful with glossy designs and of good quality, and it will make a fine addition to your daughter’s collection. She can use it to calm herself when she gets nervous or to keep herself occupied when she gets bored. It is also great for keeping her off of TV, so she doesn’t become addicted to it. It brings out your daughter’s creativity with colors and develops hand-eye coordination, and she can easily turn the activity into a hobby. The pages might tear if handled carelessly. Why we like it: The nail polish is non-toxic and easy to peel off or scrub off using a nail brush without damaging the nails. 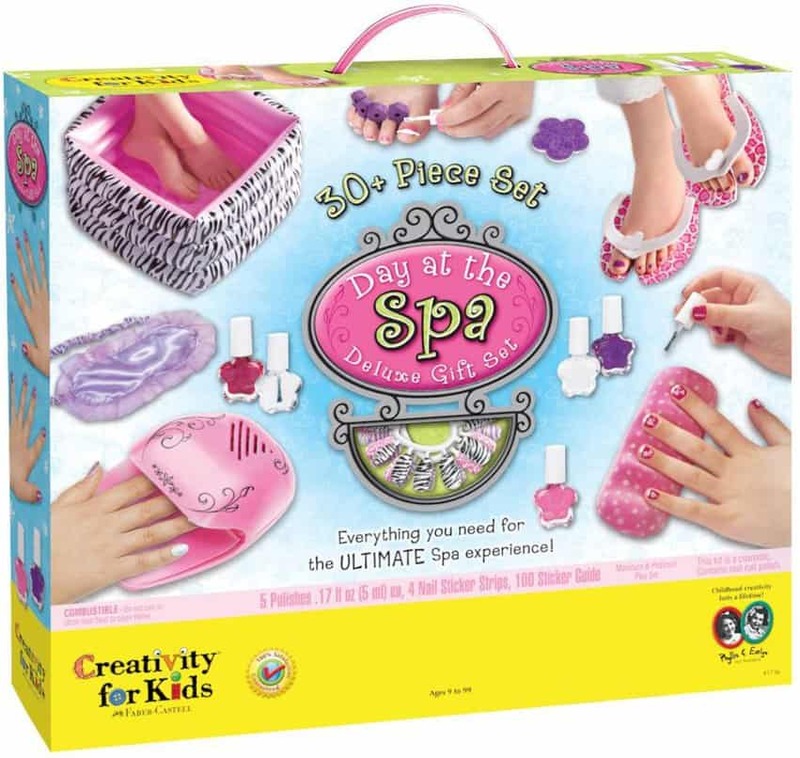 Gift your daughter with her very own spa with this set. It includes all the tools available at a nail spa including a battery operated nail dryer, nail file, water-based nail polish, glitter-based nail polish, and many more. The nail polish is non-toxic, and your daughter can perform a full manicure and pedicure on herself and her friends. The nail dryer is also kid-friendly and safe for your daughter to use by herself. The polish does not require any remover to come off, and she can easily peel it off or scrub it off without the risk of damaging her nails. Your daughter learns how to be feminine and take care of herself, and she also gains spa skills which might come in handy in future. The nail polish does not stay for long. Why we like it: The kit allows your daughter to perform real experiments and the ingredients are safe for her to handle. 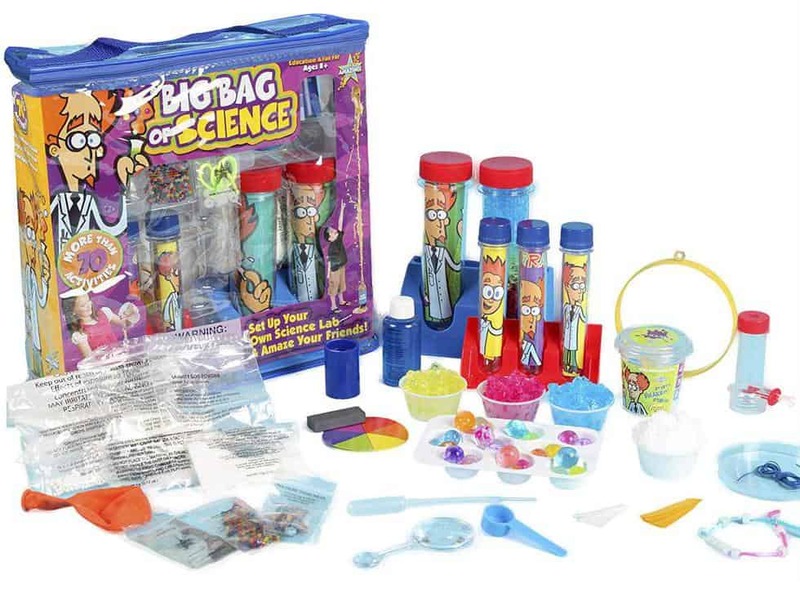 This science kit has many fascinating activities to keep your daughter’s attention for a long time. It includes real scientific tools and a guidebook which your daughter will use to perform experiments. Some of the activities include growing clear crystals, creating instant worms, creating instant snow, and many more fun activities. It has a reusable zipper bad which is used to store all the items of the experiment when not in use. The ingredients are non-toxic, and the components are safe for your daughter. The kit focuses on promoting interest in math, science, technology, and engineering and it encourages creativity. By performing real experiments, your daughter’s confidence will increase as she discovers and explores new skills and ideas. Why we like it: It is easy to make the bracelets using the color-coded looms provided. 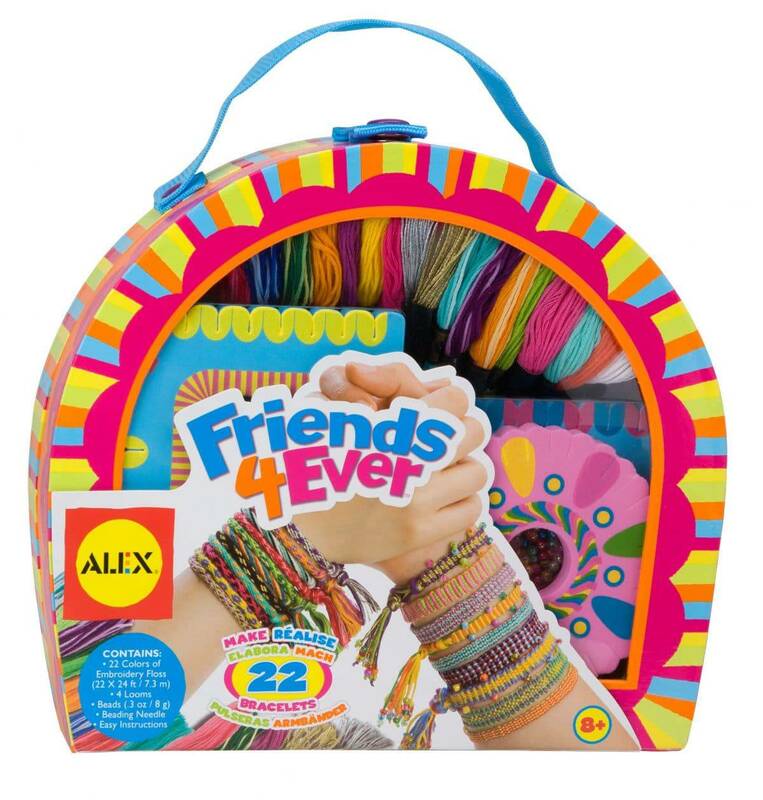 Strengthen your daughter’s bond with her friends by gifting her this ALEX DIY Friends Forever. It lets her and her friends make friendship bracelets during sleepovers and parties. It includes beads, a beading needle, color-coded looms, embroidery floss, and an instruction book, and are enough for 4 girls to create bracelets at the same time. They come in a sturdy carrying case making the kit convenient for travel and your daughter, and her friends can make bracelets anywhere. The kit is colorful making it perfect for your girl, and the floss can be weaved in several patterns. It allows your daughter to get creative with colors and patterns. It also promotes fine motor skills and hand-eye coordination. Might be hard for your daughter at first but will get easy when she becomes used to it. Why we like it: The camera is waterproof and captures high-quality photos and videos. This kid’s camera, like a grown-up’s camera, allows your daughter to take photos and record videos which she can replay and delete. It features an inbuilt microphone to allow your daughter to record sounds and good quality batteries that go for a long time without running out, and it also captures good quality pictures. It is sturdy and can withstand several drops and bumps and is easy to operate. It has a beautiful design and is perfect for your little girl. 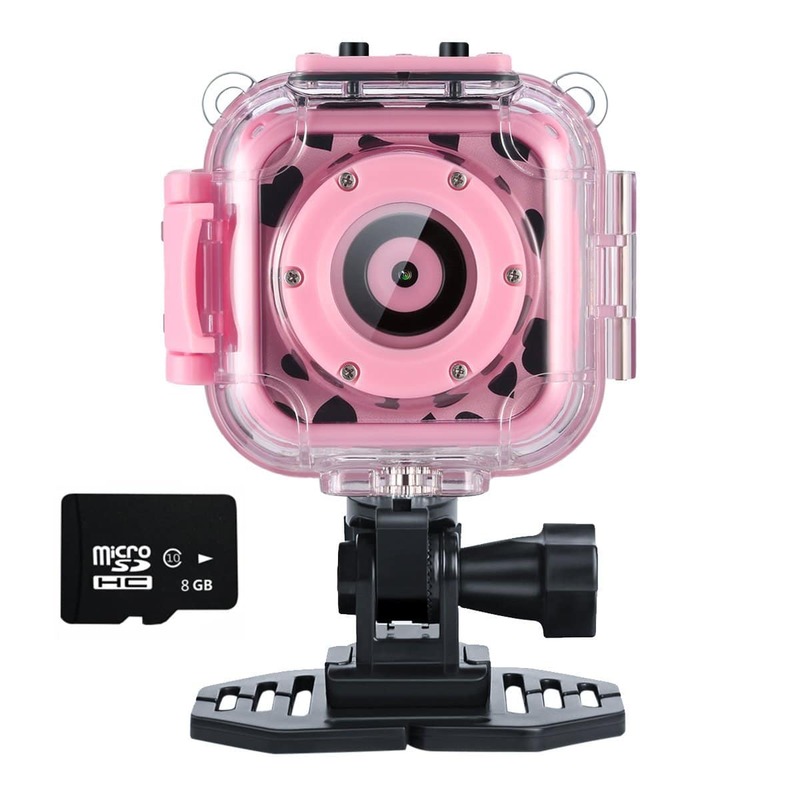 It is waterproof allowing your daughter to take pictures or record herself in water and comes with a neck strap to make it easy to carry. It develops your daughter’s interest in photography which she might pursue as a profession, and it also promotes her creativity. Why we like it: It comes with clearly illustrated instructions to make your daughter’s experience smooth. 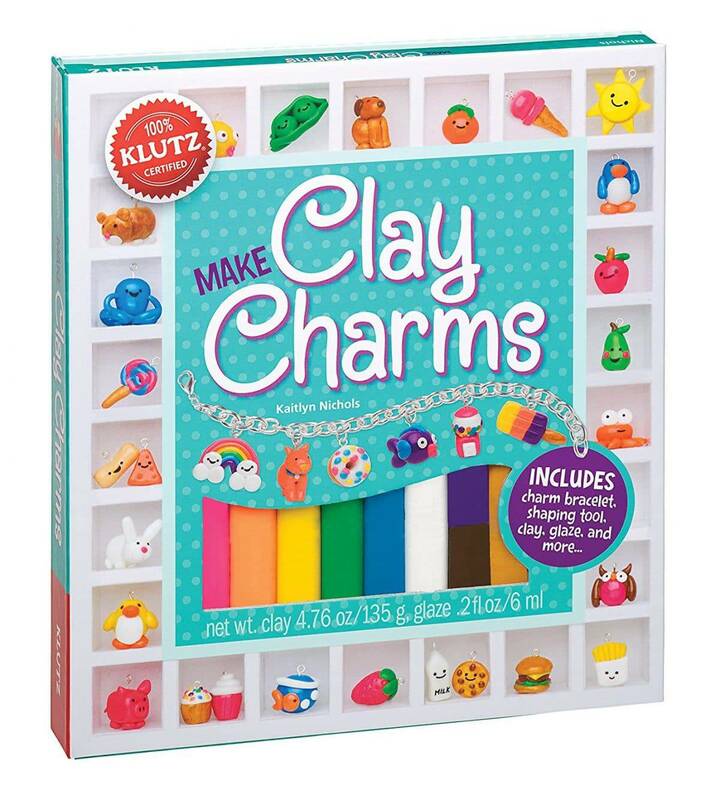 This kit allows your daughter to make her own charm bracelets and is great for indoor play during dull days. It includes brightly colored pieces of clay, clay shaping tool, a stand for drying the clay, a charm bracelet, and many more. It also comes with clearly illustrated instructions to guide your daughter while she creates her charms. There are several designs your daughter can choose from so she can create her favorite designs. She learns step by step about how charms are created, from shaping, baking, glazing, and even attaching them to the bracelet. This kit is excellent for keeping your daughter occupied as she learns new skills. It stimulates her creativity and imagination, promotes hand dexterity and hand-eye coordination. The charms created are small but will fit the bracelet well. Why we like it: The headphones are of good quality, and your daughter will use them as she grows. These are noise canceling headphones are the perfect gift for any music lover. It can be folded so your daughter will easily store it and carry it with ease and it can be adjusted to fit the shape and size of your daughter’s head, and she will keep wearing it even after she grows up. The headphones are compatible with all mobile devices, laptops, and any other audio device, and have a built-in microphone and volume control to make it easy to use. They have soft pads and headband to make it comfortable for your daughter to wear. 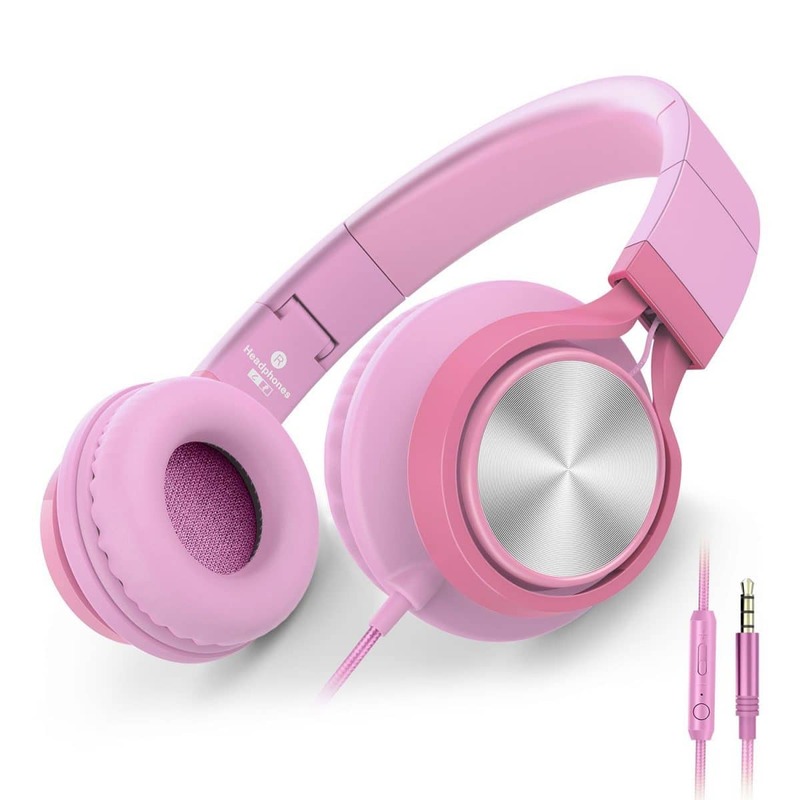 The headphones are sturdy, and good quality and the color is very suitable for your pretty little girl. They allow her to concentrate on herself and also improve her verbal-processing abilities. Why we like it: it has thousands of pieces, and your daughter will not run out of creative ideas. 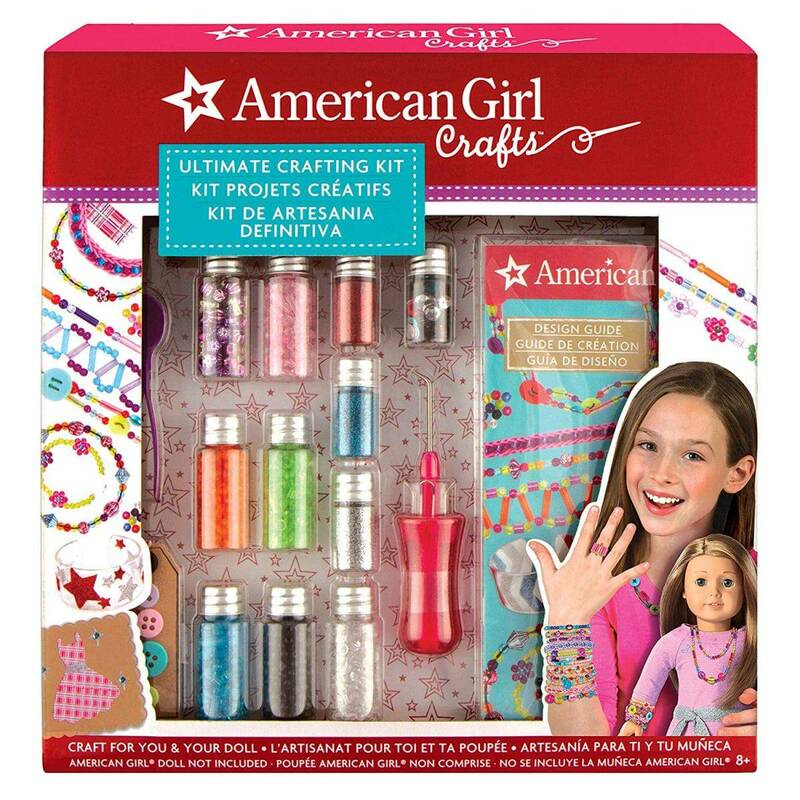 Bring out your daughter’s creativity with this crafting kit which has more than 1000colorful pieces of jewelry and craft objects for your daughter to create jewelry for herself. Your daughter can also make jewelry for her favorite doll so that they match and look pretty together. Your daughter can make necklaces, bracelets, and more without running out of pieces. It comes with instructions to guide your daughter during her beginner period and provides her with ideas for design. It allows her to come up with hundreds of ideas on how to mix colors and come up with new designs unique to her and her doll. It widens her imagination and promotes hand-eye coordination, and also helps her develop a hobby. Why we like it: It is a great toy for sparking your daughter’s creativity and imagination and provides hundreds of options for your daughter to choose from. 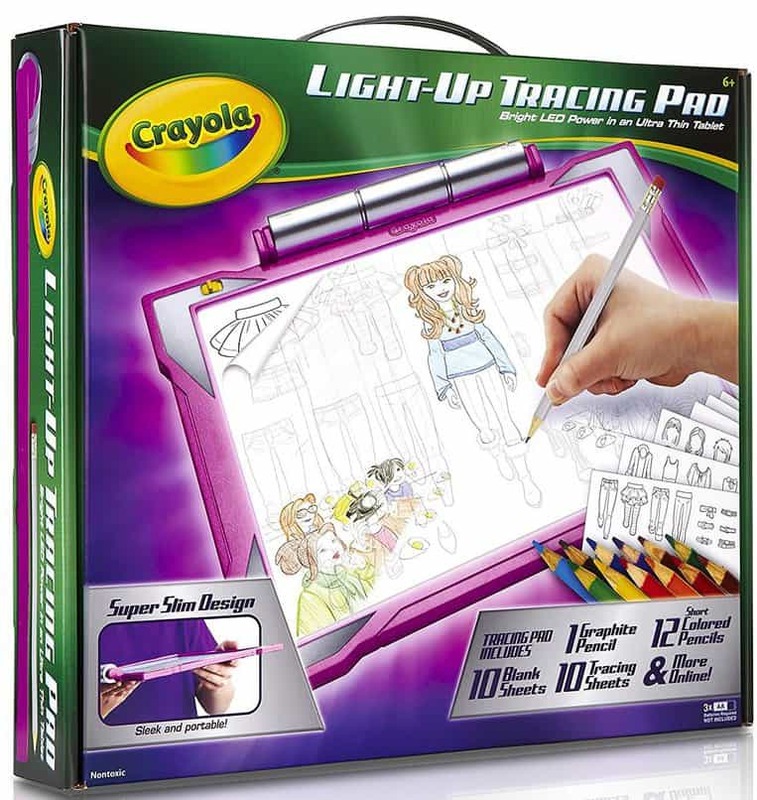 This tracing pad lets your daughter draw like a pro. It comes with a graphite pencil, 10 colored pencils, 10 tracing sheets, and more items to make your daughter’s drawing experience fun and enjoyable. The pink color is great for her, and it has a glow-in-the-dark feature which illuminates the tracing sheet making the tracing pad more interesting. It is easy to use, and you can download over 100 images from the internet for your daughter to choose from and she is not required to draw anything from scratch. The pad had a paper-locking feature to hold the sheets in place. It encourages your daughter to become creative and imaginative, and it improves her hand dexterity. The tracing sheets need to be replaced after every use. Why we like it: It is very simple to install and use, and the size of it is perfect for little hands. This microscope has been designed to fit perfectly into your daughter’s little hands. 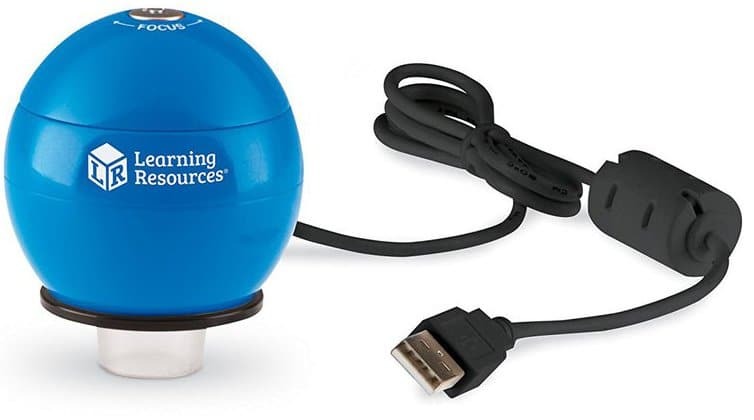 It is shaped like an egg and is compatible with a laptop or computer, and your daughter can even take videos or pictures of the object she is viewing. 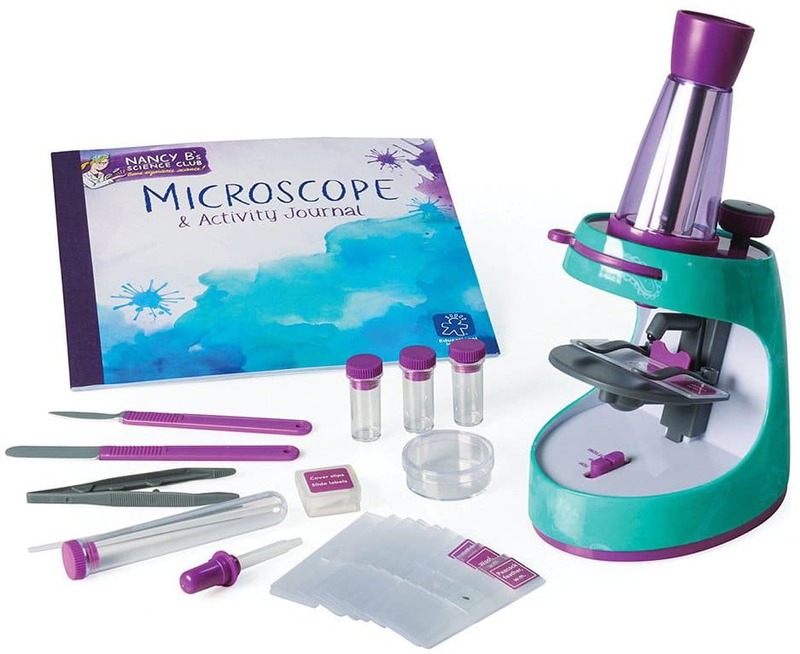 It has 54x magnification power and displays the specimen on the computer screen, and your daughter can study the structures of small plants, insects, and other objects. She can even rotate the images on the screen to view the specimen from different angles. It is easy to install and simple to use, and your daughter will quickly grasp how it works. She will develop an interest in science and especially in biology, and she also gains knowledge which will help her in class. Your daughter might lose interest if she isn’t a science person. Why we like it: The kit is simple to use and does not require any special tools other than what is provided. 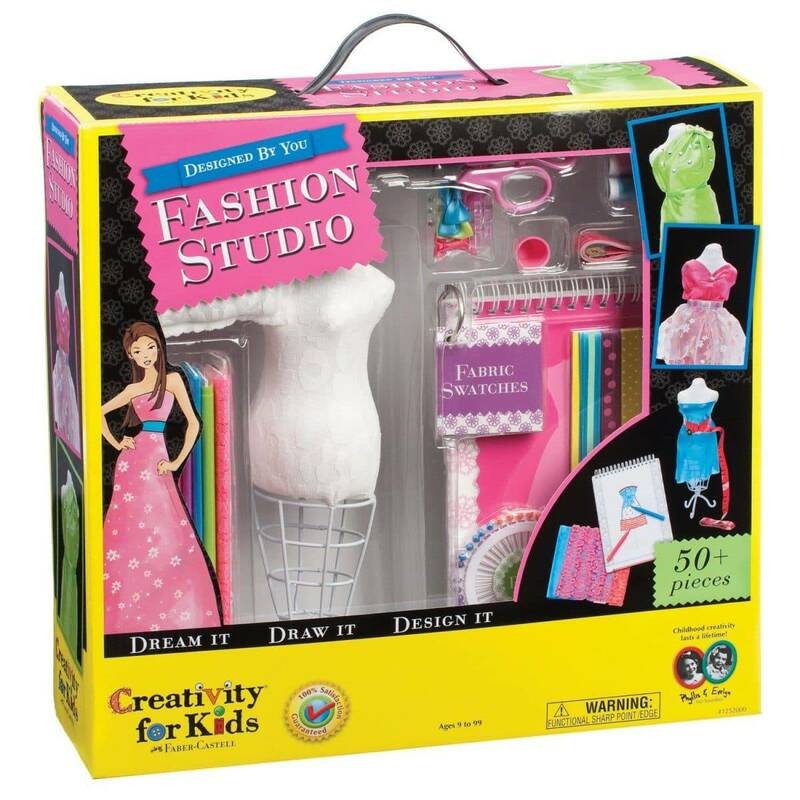 This kit lets your daughter create beautiful designs out of her imagination or by following the designs provided. It includes 3 foam canvases which act as a base for pushing the pins into them. The canvases come with ready patterns to make work easier for your girl. 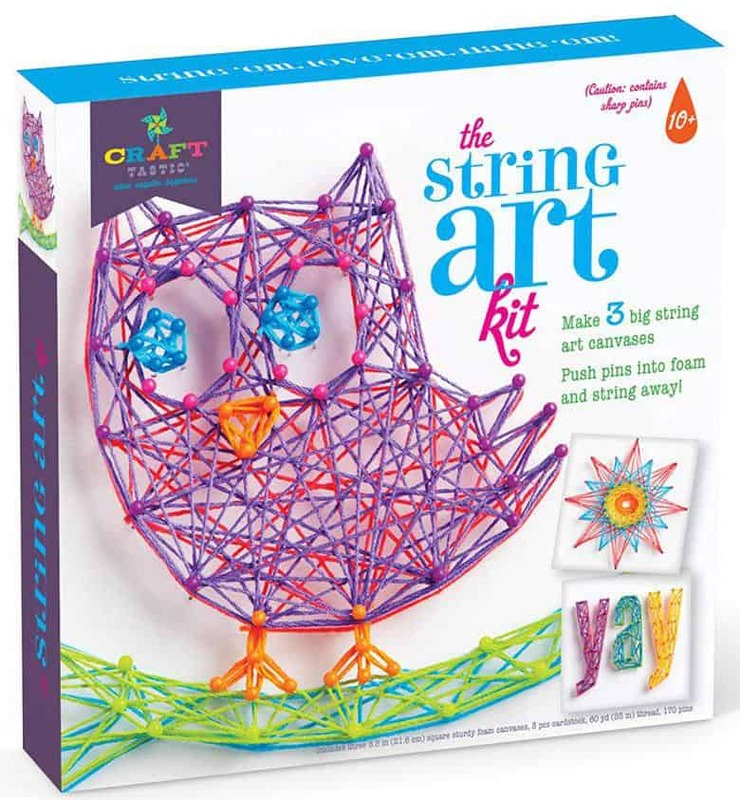 The kit allows your daughter to do three craft projects and she can showcase her work by hanging them on a wall. It is simple to use, and no special tools are required. The foam canvas is also very sturdy and will hold the pins intact to allow your daughter to string conveniently. It helps boost creativity and imagination and improves her hand-eye coordination. It also promotes problem-solving skills and will increase your daughter’s confidence. Why we like it: The hoses are totally plain, and your daughter is challenged to customize them from scratch. Horses are adorable creatures loved by many people, and your daughter is no exception. The kit includes 2 horses, 2 pieces of mohair with different colors for each horse, 6 paint colors, and 3 paintbrushes in different sizes, glue, and an instruction booklet with easy-to-follow instructions. 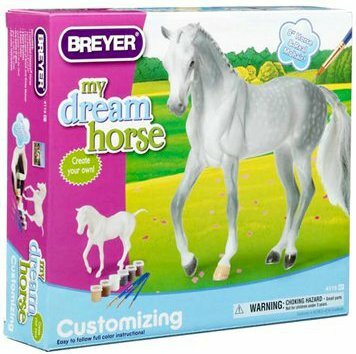 Your daughter will customize the horse how she likes so she can have her dream horse and when she is done customizing the horses, she can add them to her toy collection and play with them. The horses are sturdy, and the paint brushes are also good quality. It is a great way for your daughter to challenge herself and it encourages her to be creative. It also improves her painting skills so she can paint like a pro and improves hand-eye coordination. Why we like it: The bow fires the arrows over a long distance, and it is sturdy, and the pink color is perfect for your little spy. 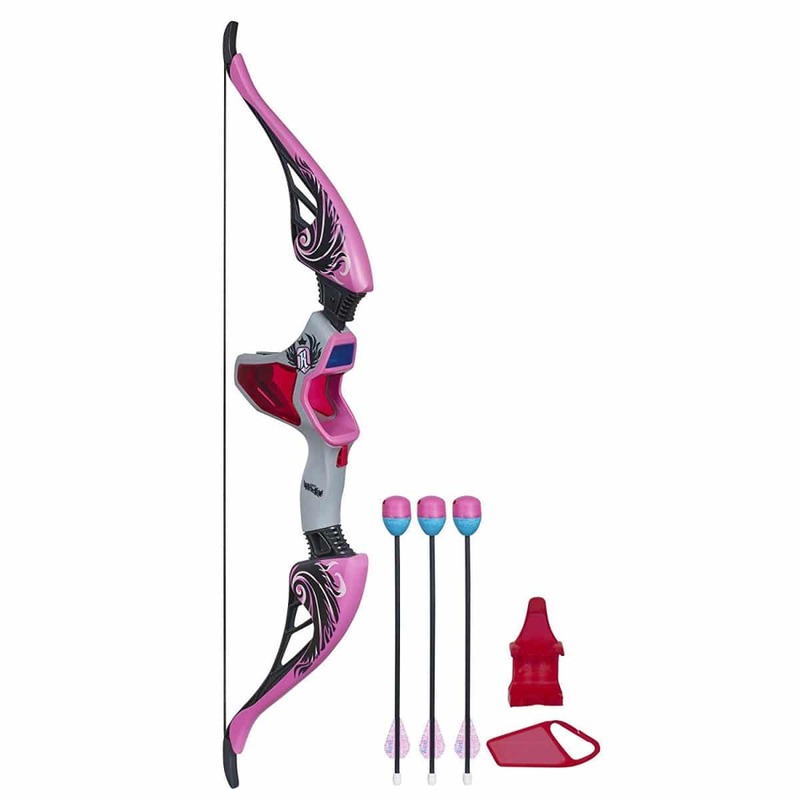 Bring out your daughter’s archery skills with this Nerf Rebelle Agent Bow. It comes with 3 arrows, and it fires the arrows up to 85 feet. The arrows whistle when they go through the air, and your daughter will have a lot of fun with it. The bow also comes with a removable decoder which reveals what is written on the arrows, and a detachable quiver for holding the arrows. The bow uses batteries which aid in accuracy and precision and your daughter will be a cool spy while playing with her friends. It is sturdy and simple to use, and the arrows can be replaced by buying another pack. It enhances fine and gross motor skills and develops her interest in archery as a sport. Why we like it: It has enough room for your daughter to store small jewelry and it is also beautifully designed. This is a beautifully decorated heart-shaped music box that will make a fine decoration to your daughter’s room. 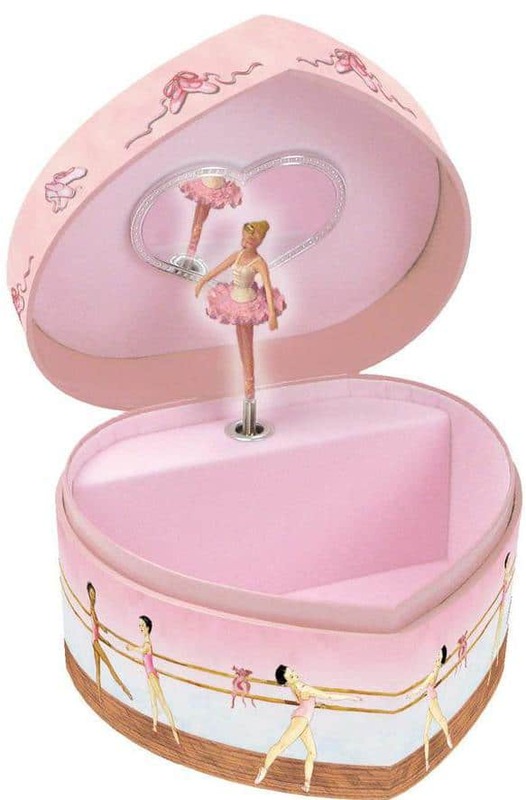 It has a beautiful dancing ballerina who spins to the melody of Swan Lake when the box is opened and stops together with the music when the box is closed. Your daughter can use the box to store her jewelry and little treasures. The box is roomy and has a heart-shaped mirror on the lid and is good quality and sturdy and your daughter will learn it. She can also dance to the melody with the ballerina and learn how to twirl like her. The box teaches her to be organized and to be responsible for her belongings. She will learn to keep her bedroom tidy and fit for a lady. Why we like it: It is a great kit for beginners and has clear and easy-to-follow instructions. Introduce your daughter to sewing with this my first sewing kit and let her learn how to work a thread and a needle at an early age. 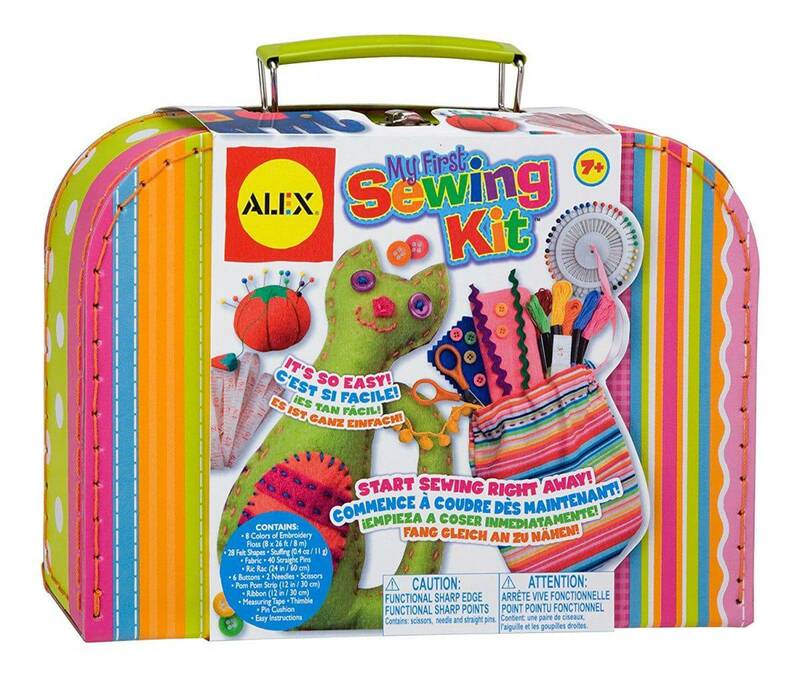 It includes all the materials your daughter will need to do her sewing and embroidery conveniently. She can make beautiful stuffed animals, notebook covers, and many more using the clear instructions included to guide her. They come in excellent storage and carrying case so that your daughter can easily travel with her tools and not lose some of her materials. She will gain skills which will come in handy in the future and develop art and craft as her hobby. It also improves her creativity and boosts her confidence. Why we like it: The notes leave little or no mess and it allows your daughter to express herself creatively. This set includes a reusable wooden box dispenser, 125 mini notes with rainbow colors, and a wooden stylus for your daughter to scratch the notes with beautiful designs. 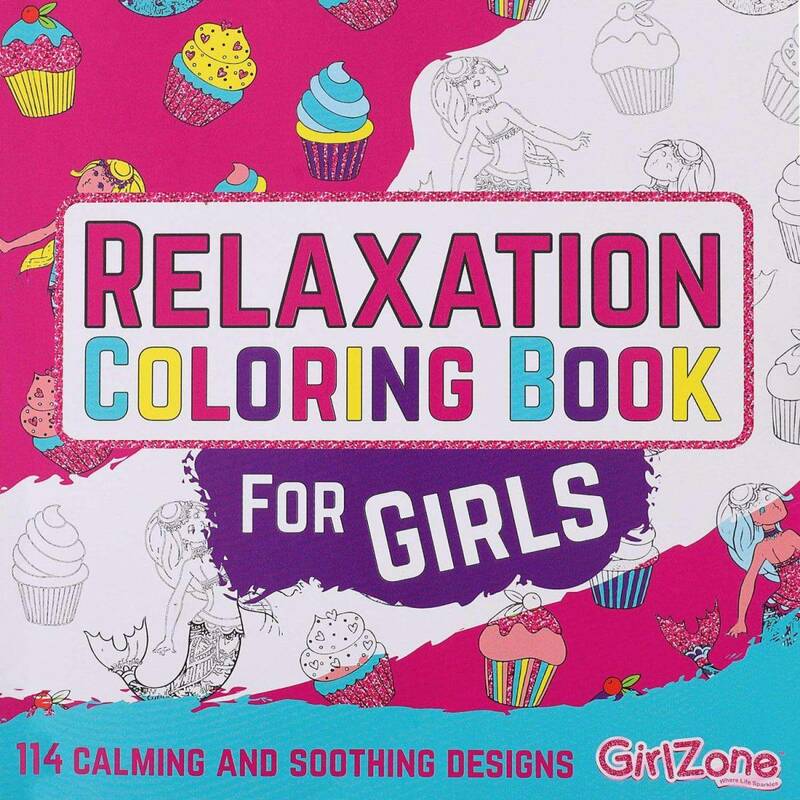 It provides your daughter with a variety of options for doodling, drawing, and many more. She can also use it to surprise someone or send a loving message to her friends. The desktop dispenser keeps everything organized so your daughter will easily clean up after herself. 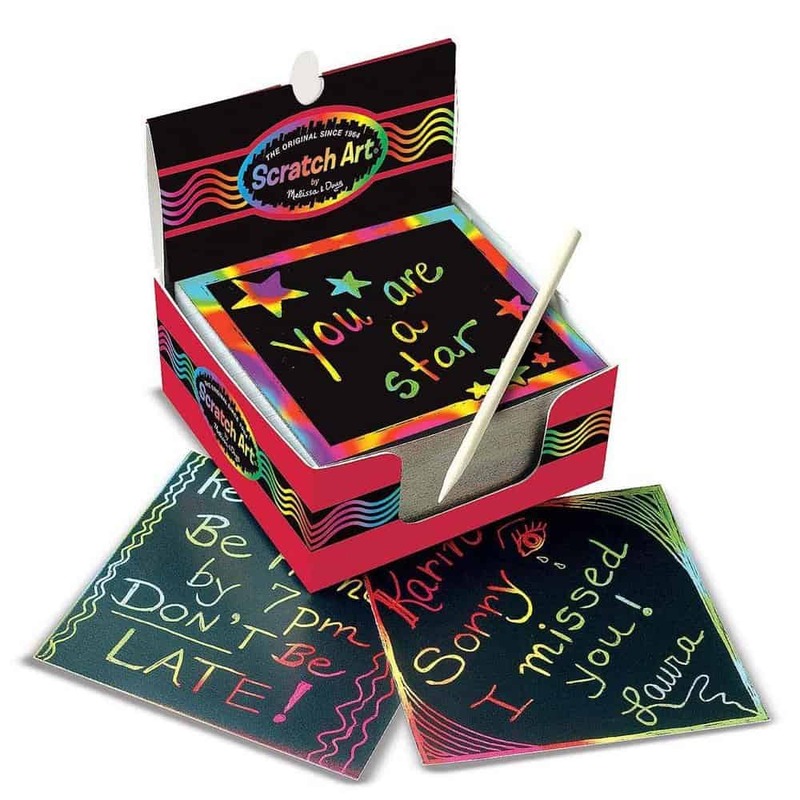 The notes do not leave a lot of mess when they are scratched, and the set is great for indoor play. It brings out your daughters creativity and allows her to express herself. It also improves her hand-eye coordination and promotes fine motor skills. Why we like it: It is an excellent game for promoting your daughter’s problem solving and reasoning skills. This game is challenging and will stimulate your daughter’s reasoning skills. 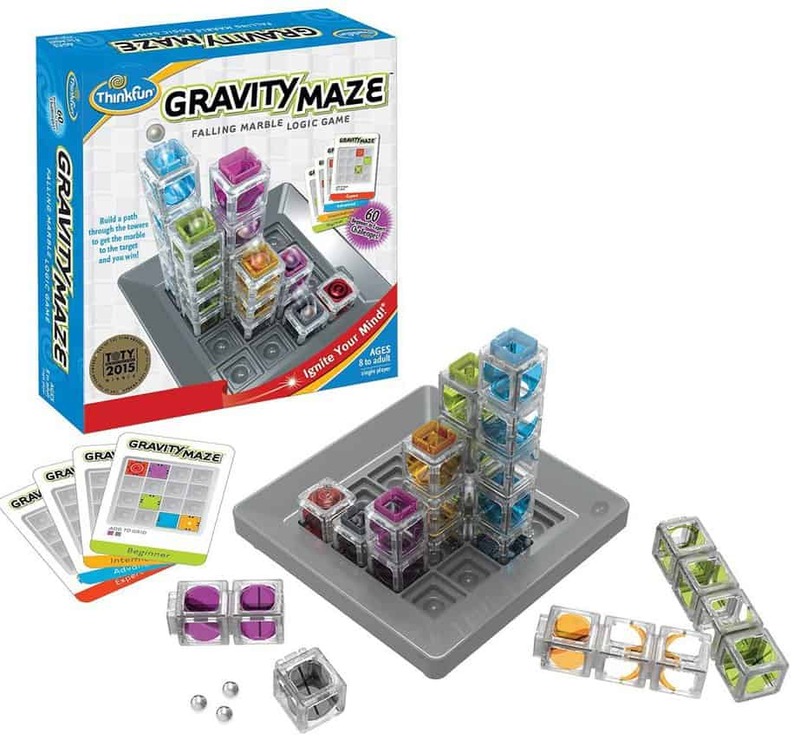 It includes a game grid, 3 marbles, 1 target piece, 60 challenge cards, and an instruction booklet and your daughter will get attached to it as soon as she lays her eyes on it. The instructions are clear and easy to understand, and the game has levels for both amateurs and experts, and it will get more challenging the more your daughter advances. It can also be played by adults who want to challenge themselves. Your daughter will use her reasoning to arrange the blocks to prevent the marble from falling off, and this also promotes your daughter’s quick thinking and problem-solving skills. Why we like it: The toy is sturdy and suitable for younger children as well, and your daughter can share it with her younger siblings. 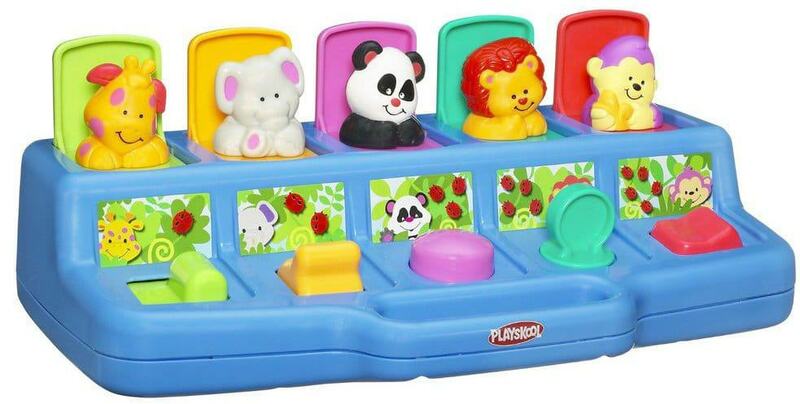 This is a fun toy to keep your daughter occupied while learning about wild animals, numbers, and colors. Your daughter moves the levers, switch, presses the button and more to free the animals trapped underneath the pop-up doors. It is sturdy and can be used by younger children from nine months and up, and your daughter can pass it on to her younger siblings when she outgrows the toy, or use it from a younger age. The toy is colorful and will keep your daughter’s interest, and it has a handle to make it easy to carry. It promotes your daughter’s fine motor skills and teaches her about cause and effect. The toy might become boring eventually causing your daughter to lose interest in it. Why we like it: The pieces are good quality, and the set is realistic, and the stable is easy to set up. This set includes a Nicki mini figurine, Sprocket the dog figurine, and Jackson the horse who is wearing a saddle, a blanket, and a bridle in their beautiful stable. It also includes a dog house, a garden, a fence, and many more features. It comes with clear instructions illustrating step-by-step procedures for building the stable and the pieces are good quality. Your daughter can build and customize the stables to her liking or design it as Nicki has done. 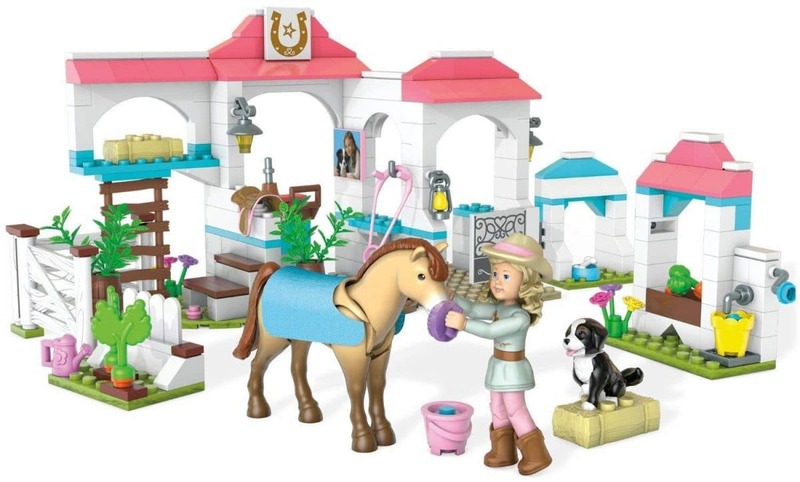 The set is highly detailed and realistic, and your daughter will feel like she is at a real stable. It helps to develop fine motor skills and allows your daughter to become creative with the pieces. Why we like it: The pieces are quite easy to tie together and can also be easily cleaned. 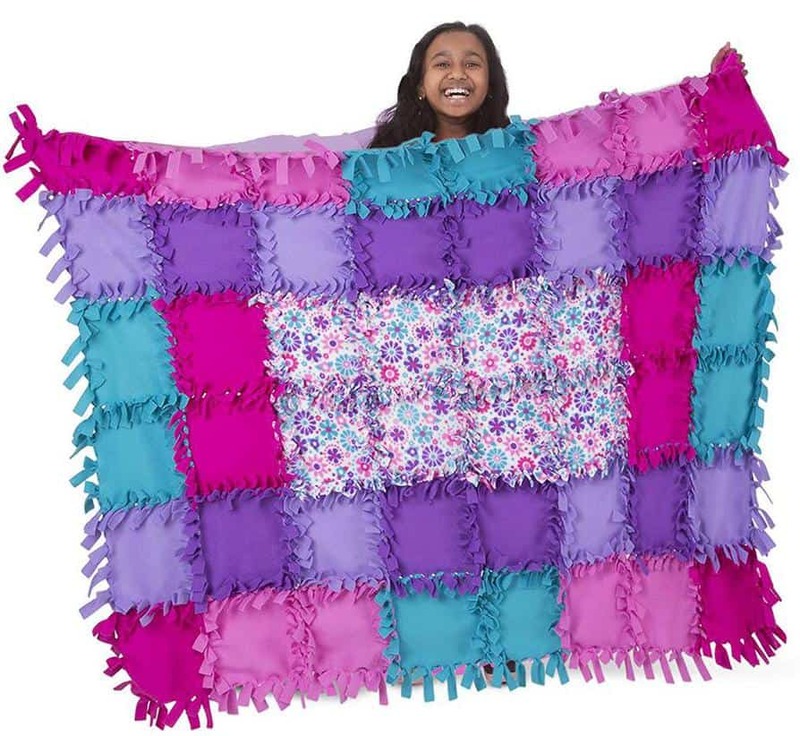 This fleece comes in 48 square pieces that can be easily tied together to create one large beautiful fleece for your beautiful girl. It has a flower pattern and coordinating colors, and your daughter can get creative with the pieces and create a fleece only unique to her, and she can also create scarves by tying together a few pieces. It is easy to clean and is made from good quality material and is thick and fluffy to keep your daughter warm at night or during cold seasons. Tying the fleeces together is quick and simple, but instructions have also been included in case your daughter gets stuck. It sparks creativity and develops fine motor skills, and it also improves her color coordination. It might take a while to complete tying the pieces together. The toys and gift ideas mentioned above will help in your daughter’s development in various ways, and she is going to appreciate you getting the best ones for her. But, remember to consider your daughter’s preferences in toys so that you get one which will interest her to ensure that she will enjoy using it for a long period.